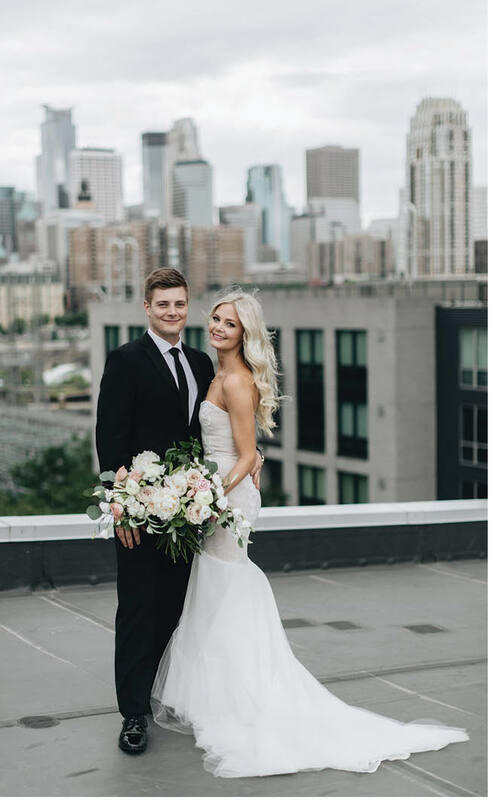 A love of travel brought Madeline Johnson and Eric Nachbar together in college, when they met on an airplane during a trip with mutual friends. 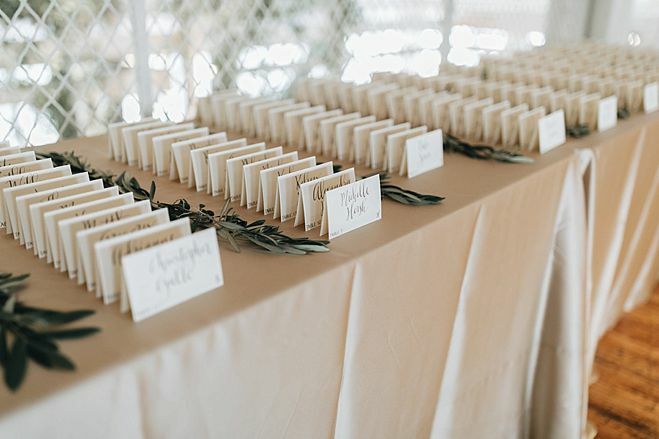 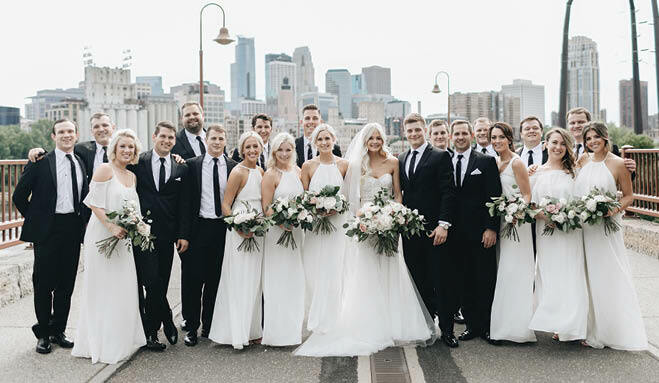 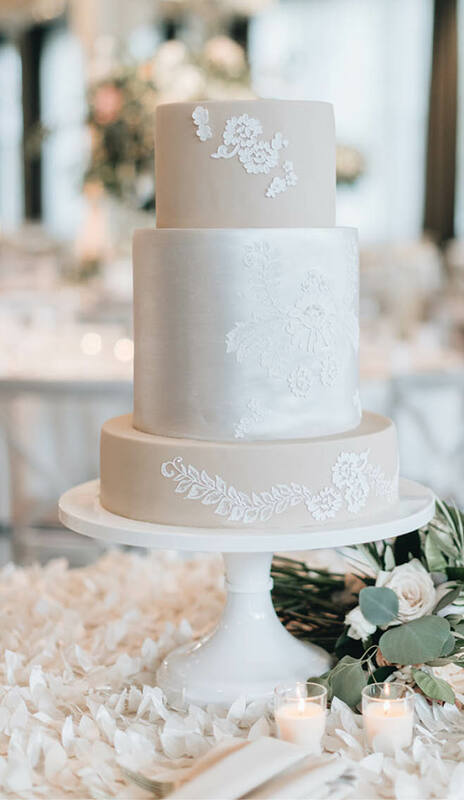 Although they still frequent foreign destinations—visits to Paris are one favorite—a free afternoon for the couple is typically spent exploring their Northeast Minneapolis neighborhood, so having their wedding at Machine Shop was a natural fit. 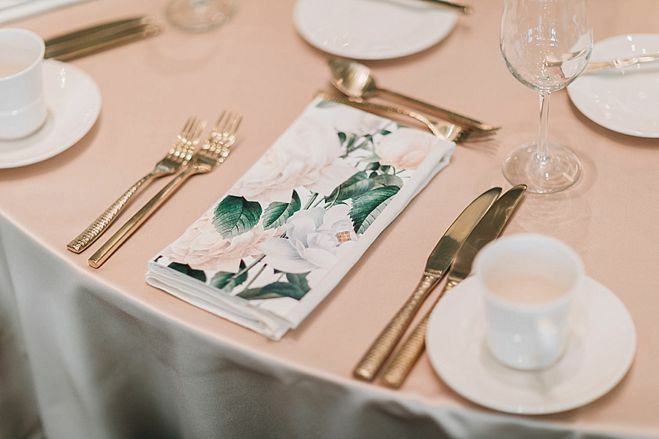 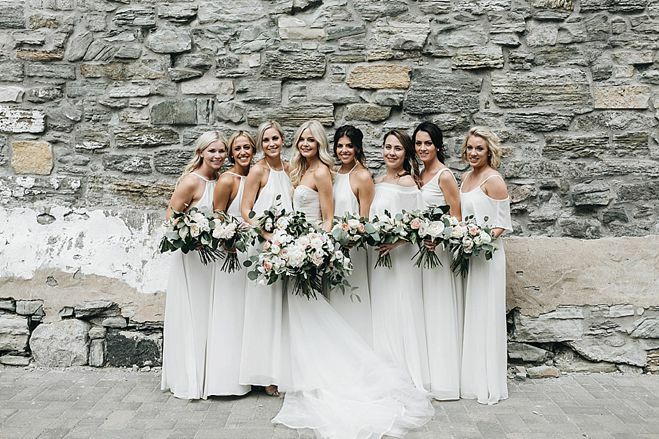 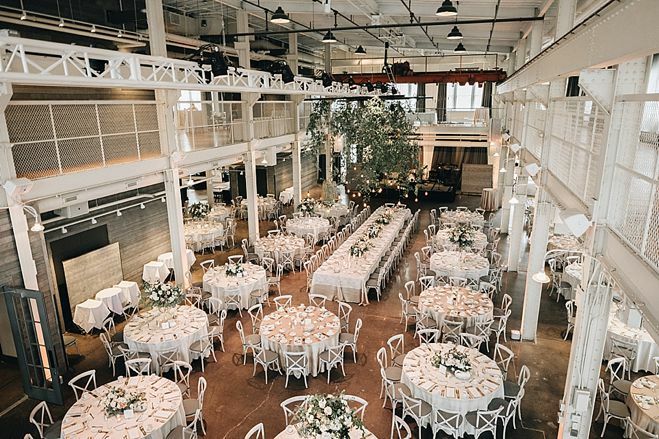 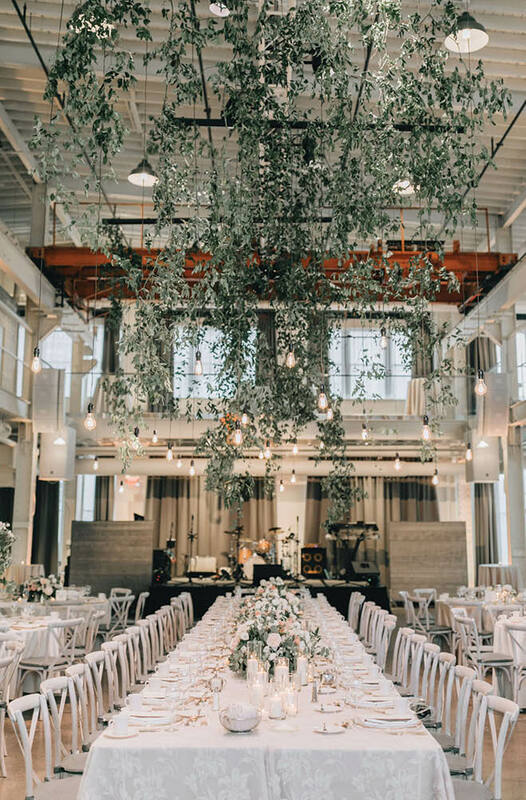 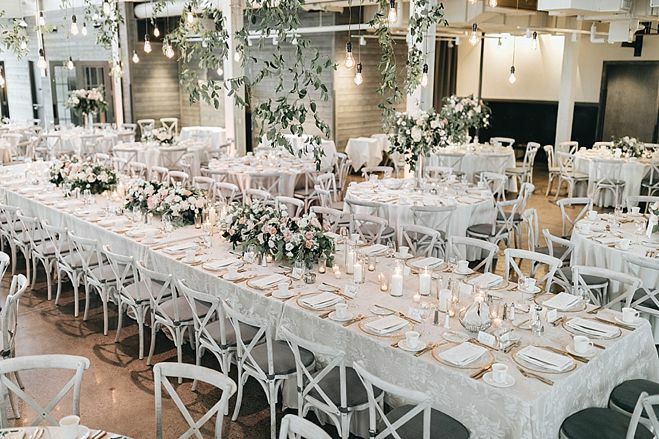 The industrial space exemplifies the local vibe, while Madeline warmed up the venue with her own touch and style—gold flatware, plenty of greenery and hanging floral installations yielded a classic ambience with modern accents. 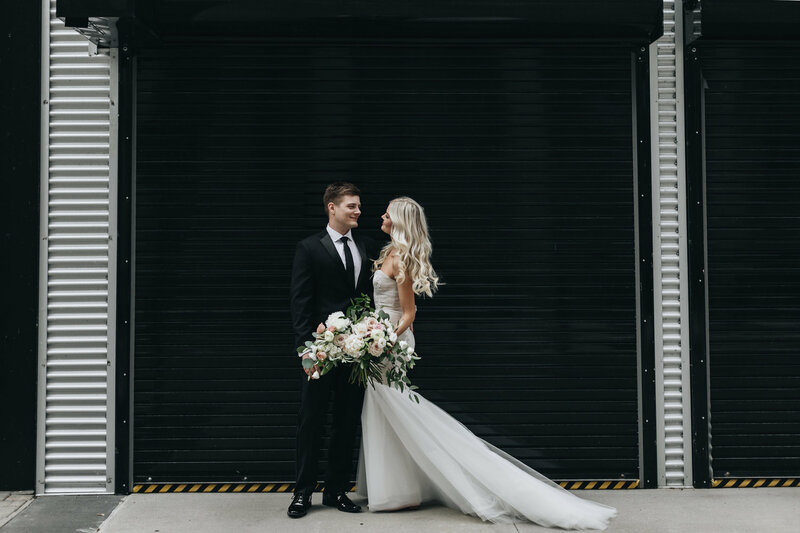 The couple took the same approach to the wedding day. 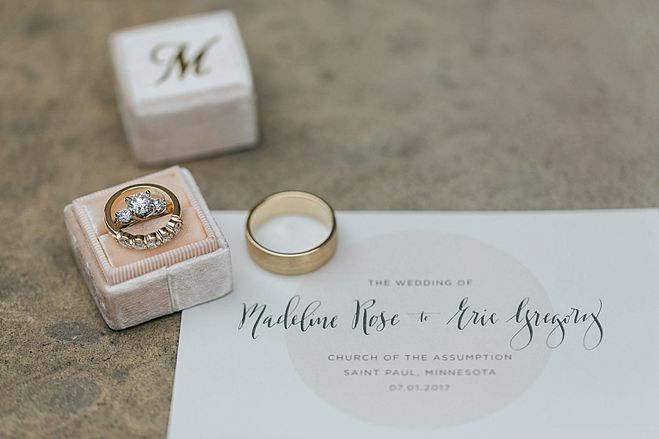 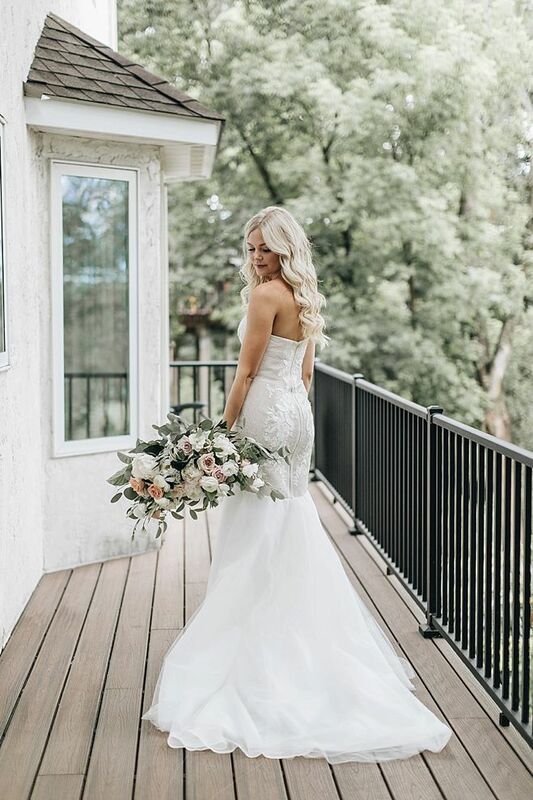 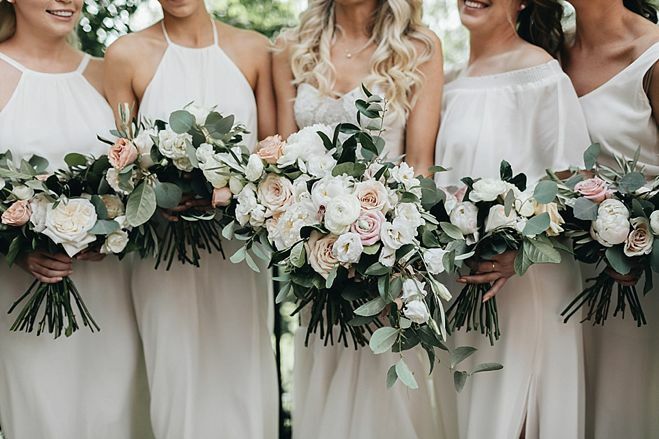 With a nod to tradition, Madeline and Eric chose not see each other until the moment she walked down the aisle, and the bride made sure to have something old, new, borrowed and blue. 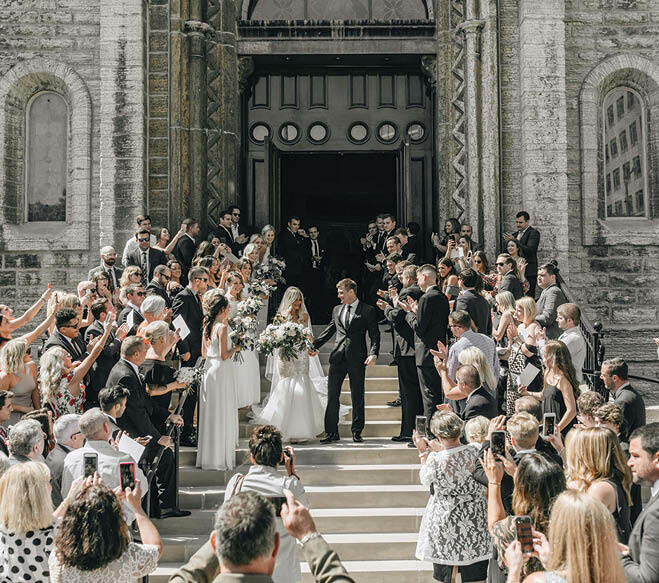 Yet each tradition was met with contemporary juxtaposition. 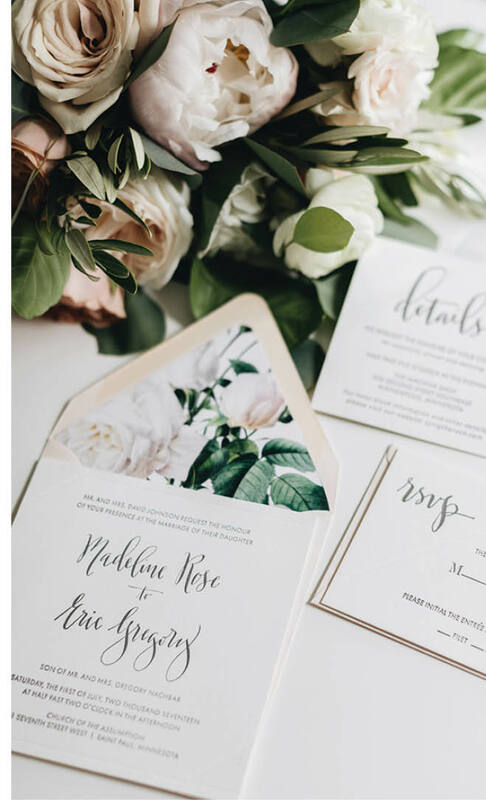 Elegant invitation calligraphy paired with a bright floral envelope liner, and Madeline’s blush gown in a classic silhouette was set off by a vibrant blue lining. 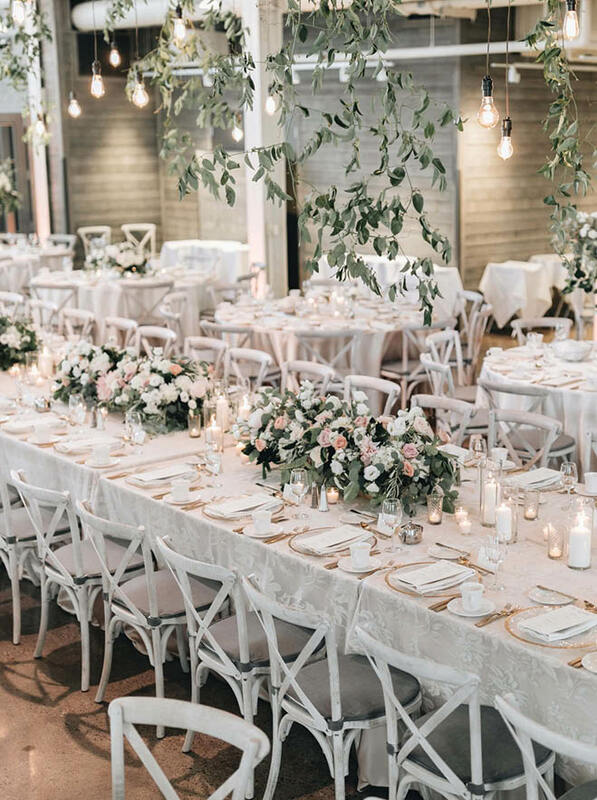 A traditional sit-down dinner was also happily interrupted by dancing between each course, as a 12-piece band played everything from the classics to lively dance tunes. 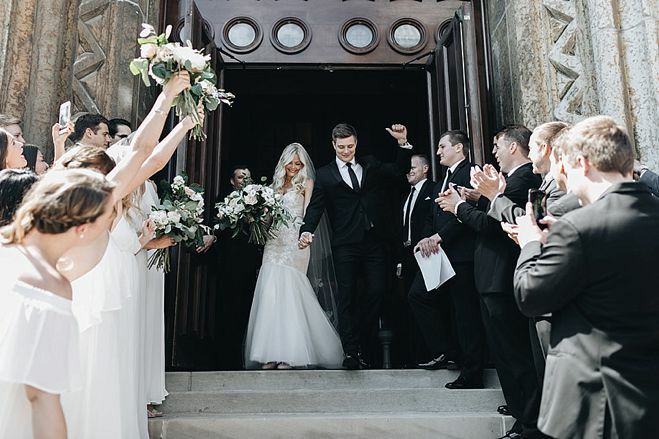 At one point, the newlyweds stole away to the upper-level and watched from above as friends and family danced, taking a private moment to soak in the revelry and joy of the day.